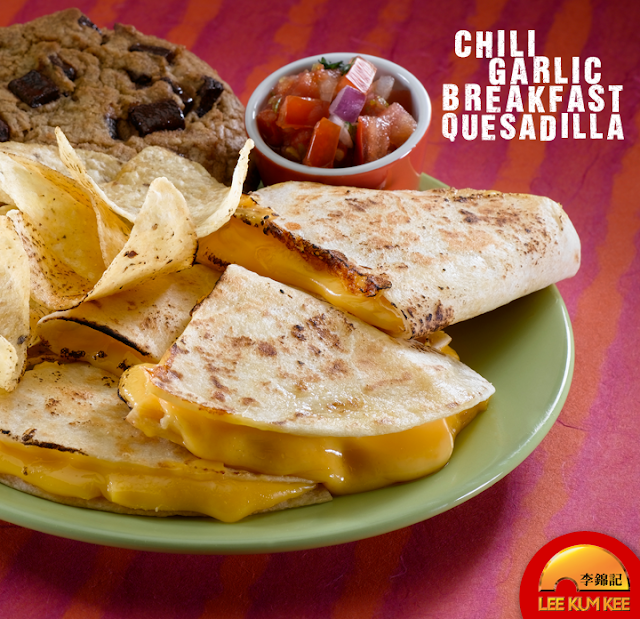 These quick and simple Chili Garlic Breakfast Quesadillas are exploding with flavor and will keep you full all morning. 2. While the egg cooks, smear 1 tsp of chili garlic paste on one half of the tortilla. Top that side with ¼ cup of cheese. 3. When the egg is finished, place the egg on top of the cheese (the heat helps it melt) and then put the spinach on top of the egg. Fold the tortilla over and return it to the pan (keep the heat on). 4. Cook each side of the quessadilla until it is golden brown and crispy (1-2 min each side). Be careful not to spill the contents of the quesadilla out as you flip it. The spinach likes to escape. 5. Wrap your crispy quesadilla in a paper towel and enjoy on the go!